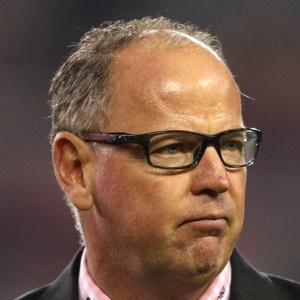 Cape Town - Former national team coach Jake White has launched a scathing attack on the administrators who opted for the Springboks to wear a red jersey in their away Rugby Championship Test against Argentina in Salta on August 26. SA Rugby last week announced that the jersey had been commissioned to mark the 25th anniversary of rugby unity in South Africa. The Springboks traditionally play in a white away jersey, and normally only when there is a colour clash against Ireland. Former lock Bakkies Botha hit out at the red Bok jerseys last week - and White agrees with him. Via a column for All Out Rugby, White rubbished SA Rugby’s explanation that the jersey is to celebrate 25 years of rugby unity. “The Springboks are going to play a Test in a red jersey. Doc Craven must be turning in his grave. Everything he warned about money changing rugby if it went professional is coming true," White wrote. “I read in the paper that the red jersey is to celebrate 25 years of rugby unity. That’s rubbish, it’s a marketing tool to sell more jerseys. White, who coached the Boks to the Rugby World Cup title in 2007, questioned the timing of the colour change and added that someone should be held accountable.